It is conference season with a gathering in the Sydney Archdiocese on Vatican II, clergy formation days, and a meeting of the National Pastoral Planners Network on the Gold Coast, all in the next three weeks. I’ll be kicking it off by travelling to Canberra next week for a keynote address at a colloquium of Marist teachers and school leaders. 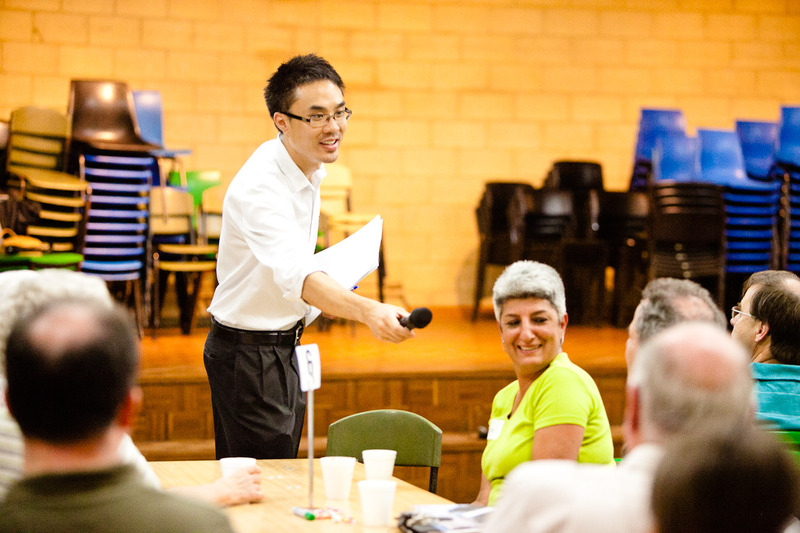 Last year I travelled throughout the Diocese of Parramatta, which encompasses the Western suburbs of Sydney, and spoke with some 2,000 people about their hopes and aspirations for our Church. The role of our Catholic schools in the faith of our children was high on the agenda. What became apparent is that the rationale and expected outcomes of Catholic schools in regards to religion is anything but a settled question. Is the Catholic school genuinely responsible for the spiritual lives of our children and to what extent? 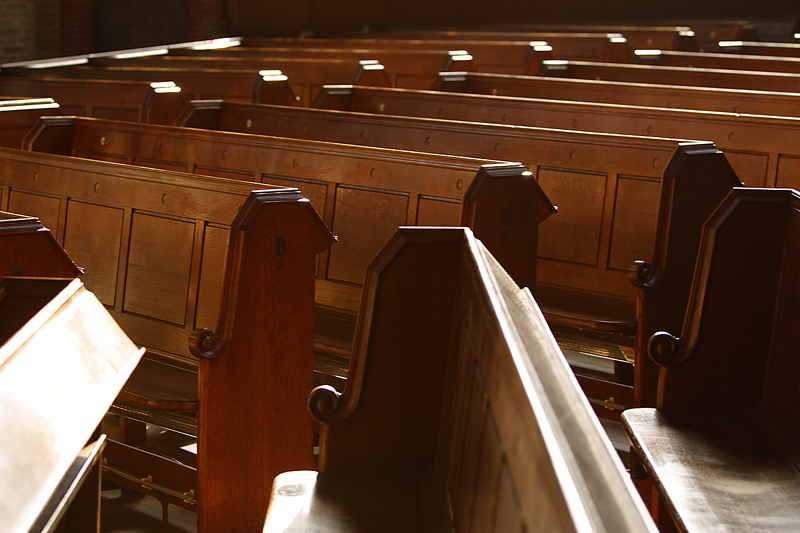 As participation in Catholic parishes continues to decline, how does this position schools as centres of evangelisation for young people and their families? What responsibility lies with school families themselves for the faith of the young, named as they are by the Church as the primary educators and nurturers of baptismal faith? Then there are the increasing numbers of non-Catholic students in our schools. What impact should this phenomenon have, if any, on our goals and self-understanding as Catholic schools, as avowedly Catholic institutions? One suspects that in the face of such questions and the variety of views that surround them that many Catholics, both the loosely affiliated and the deeply committed, are ambivalent about the school as a centre of faith and evangelisation. 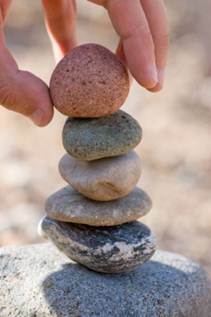 Indeed, it would be fair to suggest that for some observers the Catholic faith and schools appear a ‘forced fit’, partners that would be better off going their separate ways; still others argue that the divorce has already taken place – schools have left the faith or the faith has left our schools – and we are now left to bicker about the children. While such a fatalistic reaction is easy, even tempting, demanding little effort or commitment to change, it is as deficient as the ‘spotless sunshine’ of the optimist – both attitudes are too certain of the outcome. The social and cultural context in which we live and teach has changed, irrevocably, and not always in a positive direction. However, the proper Christian response to changing circumstance is hope, recognising the past and present moment do not exhaust all possibilities and that all times and cultures can yet encounter Christ as the path of life. In that spirit, I would like to share a few comments on Catholic schools as centres of evangelisation in the twenty-first century. In particular, I bear in mind our many lay teachers who increasingly shape our Catholic schools once dominated by religious brothers and sisters, and their significant influence in the lives of not only students but school families and indeed colleagues within the learning community. 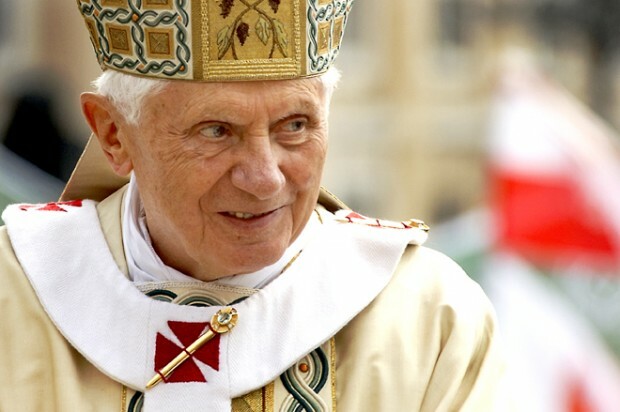 In October 2012, Pope Benedict XVI inaugurated a Year of Faith to bring the task of evangelisation to the fore. Commemorating fifty years since the opening of the Second Vatican Council (1962-5), the pontiff invited the universal Church to reflect anew on the meaning of faith and the mission that flows from faith – the mission to proclaim the Risen Jesus “to the ends of the earth” (Acts 1:8). Pope Benedict and his predecessor, John Paul II, spoke often of ‘a new evangelisation’ that sought to be realised, including within our Catholic school communities which share the joys and demands of faith. To what does this term, ‘the new evangelisation,’ refer and what claim does it make on the life of our Catholic school communities?
. . . peoples, human groups, socio-cultural contexts in which Christ and his Gospel are not known . . . Then there are Christian communities which have adequate and solid ecclesial structures, are fervent in faith and life . . . Finally, there exists an intermediate situation, often in countries of ancient Christian tradition, but at times also in younger Churches, where entire groups of the baptised have lost the living sense of the faith or even no longer recognise themselves as members of the Church, leading an existence which is far from Christ and from his Gospel. In this case there is a need for a ‘new evangelisation’ or a ‘re-evangelisation.’ (John Paul II, Redemptoris Missio 33). The ‘new evangelisation’ appeals to an ‘in between’ or intermediate group of people who have indeed heard the Gospel, and so are not new to its announcement, but who nevertheless do not participate actively or regularly in the Church’s life. That is, we could not yet describe this last group of Catholics as intentional disciples of Jesus. By ‘the new evangelisation,’ John Paul II sought to direct the Church toward missionary outreach in traditionally Christian nations to whom the Gospel is known but whose faith nevertheless lacks fervour and genuine witness in life. As the New Testament reminds us, not all those who encounter Jesus find him convincing or compelling as the face of God. If our Catholic schools are to become centres of a new evangelisation, reaching out to school families, students and staff with the vitality of the Gospel, then we need to acknowledge, with candour, the challenges that face us at this time, both within the Church and in the wider culture. Of course, the most glaring challenge for ‘a new evangelisation,’ a renewed outreach to others in faith, whether in the school or the parish, is the sexual abuse crisis which has undermined the credibility of the Church not only in Australia but around the world. In an address delivered in Glasgow, Cardinal George Pell noted with realism, “It does not need to be said that this [the sexual abuse crisis] is the most important and powerful barrier to the New Evangelisation” (Address at St Andrew’s Conference, Glasgow). It is surely undeniable . . . that in its structures of authority that the church today seems to be for many people not simply ‘other,’ but alien. It is in its ordained leaders and their actions and decrees that the church seems particularly unattractive: prone to intolerance, authoritarian attitudes, and, most shockingly and tragically of all, even to abusive and corrupt behaviours. As a result it is common for Catholics to group such features together as the expression of the ‘institutional church,’ which tends to mean the church that I do not like and would not want to be a part of. It is, perhaps, a particular temptation for those in schools to think that way: our school community tries to live by Gospel values and to give students a positive experience of discipleship, but it is not our job to promote, to defend, or even to accept a connection with the ‘institutional church’ (Richard Lennan, “Holiness, ‘Otherness’ and the Catholic School,” 404). While not denying the reality and scandal of abuse, it is important to underline, for one, that such crimes and violations of trust do not represent a fulfilment of the Church’s nature or mission as Christ’s body but the gravest contradiction of it, an utter rejection and betrayal of the Gospel which the Church has been entrusted to proclaim from generation to generation. It should also be recalled that such abuse does not represent the total sum of the Church’s life. The Church has always done and will continue to do good in the Australian community. Many people still meet Christ in our Church’s life and are supported by our parishes and schools, as well as by the Church’s many works of charity, especially in welfare, health and aged care.
. . . its proper function is to create for the school community a special atmosphere animated by the Gospel spirit of freedom and charity, to help youth grow according to the new creatures they were made through baptism as they develop their own personalities, and finally to order the whole of human culture to the news of salvation so that the knowledge the students gradually acquire of the world, life and humanity is illumined by faith. (Vatican II, Gravissimum Educationis 8). School communities and teachers are well placed to bring about this new creation for it is they who face, firsthand, the array of issues that impact our social fabric. This includes alarming rates of suicide among young people, brought on by depression, family crises and social isolation, and the cult of a dehumanising materialism in which people have never had more but remain deeply and even dangerously unfulfilled. In the midst of this fragmentation, which reveals a crisis in the idea of the human itself, Catholic schools stand to manifest before the wider community and before its own eyes the true meaning of the human person and the nature of authentic relationship. Grounded in the life of the Trinity, the divine unity of diverse persons, our schools can stand beside the family as a space of communion, characterised by mutual recognition and self-giving love, nowhere more so than in the primary school where young people are being socialised and grafted into concrete relationships with others, both their peers and the adults whom they trust. The stark reality is that for some of our young people the school community may provide a deeper experience of communion and unconditional love than the home, and these children can indeed be more valued here than in the marketplace where they are often regarded only for their status as consumers. 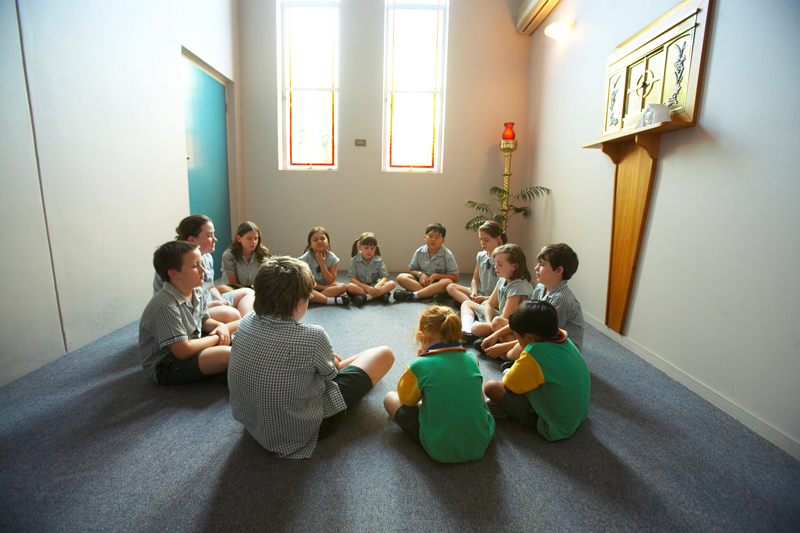 By educating in and for communion, Catholic schools can also serve as an evangelising centre for entire families who may never darken the door of a church or have any other experience of the Catholic faith beyond the walls of the school grounds. As I have proposed elsewhere, it is especially schools such as those of the Marists, filled with charism, an awareness of God’s Spirit manifest in human history, that can bring together the Church and the world. Marist schools can accomplish this by mediating or serving as a bridge between the traditional, mainstream Church and the lives of students and parents who may not be connected to parish or regular practice. As the theologian David Ranson has observed, religious institutes including the Marists are, in a sense, both ‘Church’ and ‘beyond Church,’ working at the margins with those who may never feel comfortable within the ordinary life and structures of the Church. On this note, a school principal once remarked to me that while some of his school families did not identify strongly as ‘Catholic’ they certainly felt ‘Marist.’ Such a sentiment points to the way in which schools can mediate the meaning of Catholic faith and a sense of belonging to a contemporary culture that remains hungry for a narrative by which to live and a community in which to live it. While affirming all that our Catholic schools promise and already bring about through their care and nurturance of the young, our theme of evangelisation also presents forward challenges for each and all of us who represent the Church, whether we are conscious of this ecclesial witness or otherwise. The new evangelisation is not a phase or moment but the perennial mission of all the Catholic faithful, a deep and abiding responsibility to “speak the truth in love” (Eph. 4:15). In terms of its practice, it has been my experience that among the first responses of schools, as it is for parishes and dioceses as well, is to create appropriate structures to support that goal. This is to be commended. The establishment of committees for evangelisation, dedicated personnel as well as practical resources remind us that wanting to evangelise is never enough. We have to be organised to do so and reveal the power of evangelisation as something other than a Platonic dream. The Great Commission given to us by the Gospel, to “go and make disciples” (Matt. 29:18), should shape all of who we are as Catholic communities, including our structures, budgets, professional development, and the organisation and priorities of our time. However, it must also be said that evangelisation should not be approached as yet another task of the school community, squeezed in between existing commitments, for such an approach inevitably leads to a rather bureaucratic response to the Church’s mission of outreach. Boxes are ticked and prayers are said, usually before and after meetings, but the deepest meaning of evangelisation can be missed, as a continuing conversion to the Gospel in all aspects of school and professional life. Of course, it is proper for schools and school systems to set benchmarks, to define goals and measures of evangelising activity, but these of themselves cannot ensure fruit without a conversion of heart on the part of teachers and school leaders. When we use the [noun] evangelisation, there is the temptation to set it out as another activity the parish [or school] does – catechesis, liturgy, pastoral care, and evangelisation . . . Using the [verb] evangelising strengthens the commitment that who we are as Church – our mission and identity – is rooted in engaging in all activities through the lens of evangelisation (Jane Regan, Toward an Adult Church, 23-4). Thus, for the evangelising school, the school sports day is not unconnected to the human flourishing which the Gospel promotes, social justice activities are not simply about good citizenship but involve recognising the dignity of others, and ourselves, made in the one image of God, and that the ‘faith of the school’ does not simply refer us to the school motto or point backwards to its origins but also points forwards to its aspiration, its witness of Gospel values as an ecclesial community, and its future commitment to ongoing conversion. The evangelising school will therefore relate all that it is and does to the evangelion, the Good News of the Gospel, which comes to us not only as a gift but an invitation to renewal, even change. Ultimately, all discussion of evangelisation is self-implicating in that it presses us to consider the quality of our own discipleship and the extent to which we manifest the holiness that we seek to awaken in others. As Pope Paul VI points out, “The Church is an evangeliser, but she begins by being evangelised herself” (Evangelii Nuntiandi 15). By this statement, the pontiff recognised that we can only share what we ourselves have received into our life, that our own passion for, or else disinterest in, evangelisation reflects the extent to which we have been convinced by the person and message of Jesus of Nazareth, Son of God. The fruits that this self-conversion yields for others are manifold, as Paul VI would note, “Modern man listens more willingly to witnesses than to teachers, and if he does listen to teachers, it is because they are witnesses.” It is the quality of our Christian discipleship that is the most powerful form of evangelisation that we can offer students, their families and our colleagues, leaving an imprint in the experience and memories of others that can last a lifetime and shape their own discipleship, experience and perception of the Church. Of course, conversion is never an easy business and demands of us an unvarnished reflection on any gap between who we profess to be as Catholic teachers, and as school communities, and who we really are. It could be suggested that too many of us are admirers of holiness but not enough of us seek to possess it for ourselves. The startling gift and project of ‘the new evangelisation’ is this – to realise that we are the Church we are waiting for. In Season Four of the American political drama, the West Wing, a young man, Sam Seaborn, is running for a seat in the United States Congress. He returns backstage after an exuberant political rally organised to garner votes and complains to his campaign manager, “I’m preaching to the choir. You had me out there preaching to the choir. Why? !” The campaign manager replies with calm, “Because that’s how you get them to sing.” So it is for the Church – the first who need to hear the call of the new evangelisation are ourselves, those of us closest to the mission of our Church as it is lived in our parish and school communities. The depth of our listening to this call will express itself in the strength of our commitment to proclaim the Gospel to the young people in our care. Our Catholic schools bear enormous potential as centres of evangelisation, bridging the gap between the traditional Church and those not embedded in parish or regular practice. The new evangelisation calls us to attend especially to those baptised Catholics among us who have lost a living sense of the beauty, goodness and truth of our faith, who no longer recognise the Gospel as the way of life. While structures and committees are a necessary part of this important work, the task of evangelisation ultimately demands something of each of us, our ongoing conversion and willingness to receive the Gospel as the heart of our identity and mission as Catholic disciples and the heart of our life and calling as Catholic schools. As the Easter Triduum approaches, we are propelled into the heart of the mystery of our Christian faith, the passion, death and resurrection of Jesus of Nazareth, Son of God. 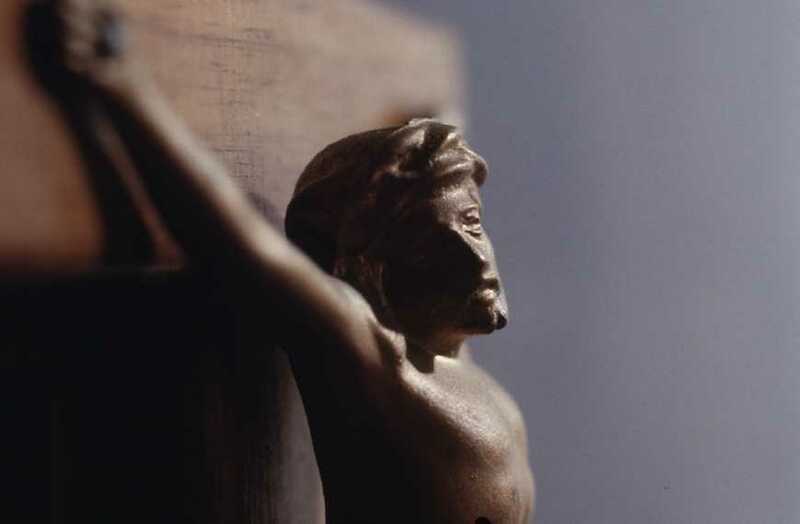 It is in his crucified and risen body that we are offered a return to God and in the same mystery of sacrificial love that we find a way home to our true selves and also to one another. Like others, my wife and I began our journey toward Easter on Ash Wednesday but not with the imposition of ashes but at Westmead Children’s Hospital where our nine month old son underwent a morning ultrasound for a rare eye condition that had been discovered some weeks earlier. The sense of loss and shock we had felt those weeks ago, with the news that our first-born son was likely blind in one eye, was outstripped only by the dread of surgery and the small but real risk of infection and, at worst, complete blindness. With the passing of our friends’ child, born on the same day, and in light of our own son’s affliction, we no longer stored faith in statistical assurances. It is difficult to express the heartbreak that accompanies the suffering of our loved ones and we can never prepare for the rawness of loss and vulnerability so close to home. In the long days and nights since that first diagnosis we looked upon our son with a mix of tenderness and helplessness, doing our best to carry on with the everyday practicalities of life, all the while handing the wellbeing of our son over to God day by day, with all the trust and all-too-human reluctance of those of whom more has been asked. In the crucible of suffering and fear there is no room for second-hand anecdotes, about God giving only what one can bear or even for sentiments about the eventual meaning that suffering will bring, given only enough time. There is only the rawness of the experience, the silence of God in the focused ‘crying out’ of prayer, the inexpressible awareness of the wisdom of Hebrews, that it is, indeed, “a dreadful thing to fall into the arms of the living God” (Heb. 10:31). In the visits to the specialists that were to come, we were slowly initiated into a new world. We remember keenly the heartrending moment of pushing our young son through the hospital doors for the first time, now almost a ritual, and the distress of watching him squirm from afar under the careful handling of our doctors. Then, there were the other families and children we met along the way, many suffering to a far greater and incomprehensible degree, with cancer and profound disability. We shared space with these families each week with sympathy and deference. The quiet sadness of a hospital waiting room can bring life to its essence without a hint of sentimentality. In the midst of our own uncertainty it was those furthest from our day-to-day life, but closest to our experience, who offered us hope and succour. A couple interstate who have suffered deep loss in their own life reminded us of the way in which our reality had changed over the years, incomprehensibly even, from praying and giving thanks for our vocations, our marriages and pregnancies, to now begging for the lives and wellbeing of our children. As these companions on the way reminded us, so is the advocacy required of us as parents. Then there were two Cistercian monks, friends of ours through an internet connection and a shared love of the monastic tradition who, though so different in vocation, united with us in prayer and petition. There is great solace in communion. With them, we pelted the heavens with psalms. It was a Monday morning when my wife received the call that there had been a cancellation in theatre and our son’s surgery had been brought forward by weeks, to the following day. On the morning of his admission, our friend, a priest, blessed the three of us before we took leave for the hospital. The day seemed an eternity. After admission and a lengthy wait, we watched our son slip under general anaesthetic and walked away from the theatre in one another’s arms and in tears. It would be the longest time our son had been away from his mother since birth. We almost ran to the recovery room to greet him as he emerged from surgery, heavily bandaged and weary but with all having gone to plan. While his sight in one eye was likely to remain poor throughout his life, the offending obstruction had been removed without complication. After observation for a further few hours, we could take our son home. 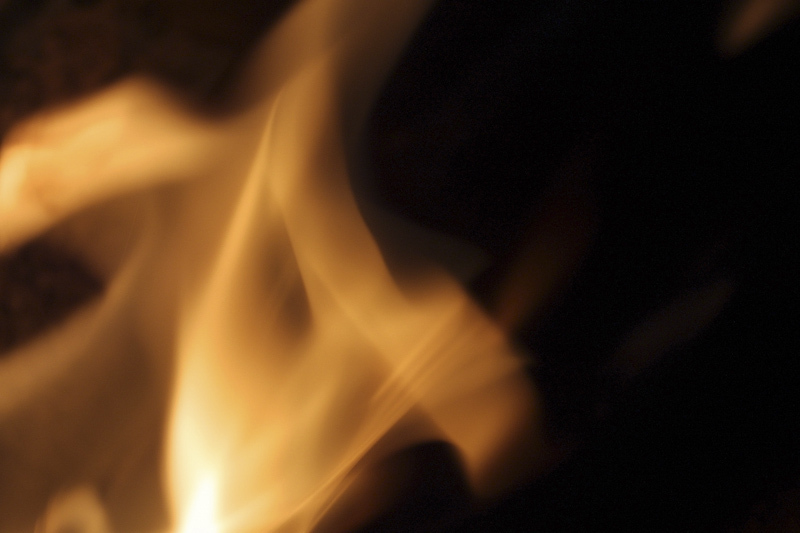 This Easter we have been drawn into the paschal mystery without our asking. Indeed, no one runs toward the Cross for it promises to cost us much more than we are willing to give. Still, over the years we learn to entrust ourselves a little more to the ‘logic’ of this way. Sometimes we are carried by others and other times sustained by faith alone. This Triduum we give thanks for all that we have, for out of the depths of limitation and fear has emerged a stronger faith, a greater hope and a deeper love.